Mobile World Congress is a love it or hate it affair. Three days of treading what is now Europe’s largest technology conference ought to be enough to put anybody off for life, yet most of us seem to come back year after year for more. So why do we do it exactly? Mobile World Congress is all about mobile (smartphone) phones, obviously. But is also a frenzy of industry activity that centres around the emerging technologies in telco carrier service provision and network management. It is also an exhibition forum to showcase all of the new advances in Artificial Intelligence (AI), big data analytics and cloud computing that drive every device from the desktop, to the handheld and onward to the machines that populate the Internet of Things (IoT). We’re not even supposed to call them smartphones anymore anyway. High-end mobile devices now outstrip the basic desktop PCs of perhaps a decade ago — at least in terms of storage, application sophistication and access to network-based resources. This is of course the real point here, that is – the mobile device today often plays the role of ‘front end interface’ with all the real power processing, analytics and intelligence going on back in the cloud datacentre. But this story is not meant to be a short history of mobile computing. This is meant to be an insight into the event itself. What’s it like to walk the floors of the Fira de Barcelona (literally, the ‘trade fair’ of Barcelona) and what’s going on this year? 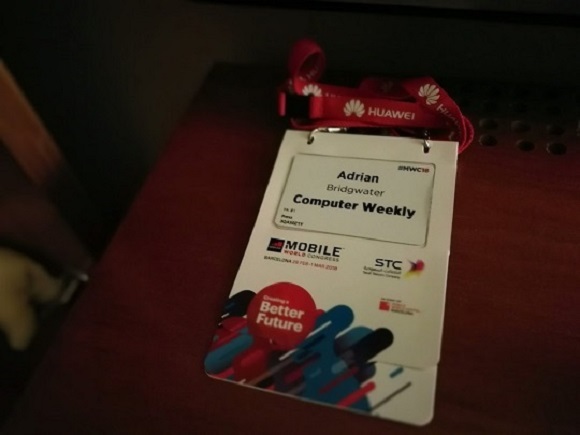 Make no mistake, Mobile World Congress (MWC) is not for the faint hearted. The walk from hall 1 through to Hall 8 measures out perfectly at a mile. Fitbit walking points are easily earned, shoes leather is quickly worn and hearts are frequently crushed when you realise your 9am, 10am and 11am meetings are in halls 7, 1 and 8 respectively. Technology journalists often run entire MWC preview stories based on what items they’re fitting into their backpack for the show. If you’re looking for some advice on this season’s ‘most trusty camera monopod’, then these are are stories you should read. Arguably more pressing (than tripods at least) is the subject of food. The press centre offers not much more than a plate of dried out cookies and the lines for industrially produced sandwiches are never appealing. The smart money is on packing some new age nut and oat bars with an additional supply of those little tins of tuna that come in three packs with ring pulls. Additional essential bag paraphernalia (monopods excepted) should also include hand sanitizer, phone chargers and photo ID. Getting into the venue is a task in itself. The Spanish door guards at the Fira are notoriously unwavering in their insistence for ID and pleas of ‘look, I have a badge and why would I fly all the way here to Spain and stand here with all these muesli bars and handwash’ hold very little water. As a special note to the GSMA (who has implemented new rulings), although the show promotional materials do suggest that European ID cards are accepted as entrance ID, they refused a British (EU, for now) driving license point blank. “Go back to your hotel and get your passport, we will see you again in about an hour,” said the security guard, who looked pained at how strict the rules were… as he took his glove off to shake my hand as a human-level apology. Walking this show floor this year is the same heady mix or beeps, blips and bings that it always is. It’s like Las Vegas, but with smart city dioramas and 5G roadmap discussion instead of fruit machines and free cocktails. Despite both Formula 1 and professional Darts now banning grid girls and walk on models respectively, it appears that most stands here are fronted by girls in short skirts rather than boys in tight t-shirts. That being said, the audience is so deeply genuinely geeky that they appear to be more interested in the gadgets. Briefings are already underway and the key themes as suggested here are already showing up as the main talking points: 1. Artificial Intelligence, 2. 5G and LTE, 3. IoT & edge computing, 4. Software-Defined Networks (SDN), 5. Big data & data analytics, 6. Enhanced Voice Services (EVS), 7. Net neutrality and borderless connectivity. Somewhere in among all this madness there will be a few device product launches… but the backbone appears to be significantly more of a discussion point than the shiny shiny in your pocket. For the real product news please see MWC 2018: Samsung Galaxy S9 launch kicks off annual mobile festival and more at computerweekly.com/news.